If you’re a fan of cinnamon treats, then I probably don’t need to extol the deliciousness of Snickerdoodles. I’m a bit of a late joiner in the cinnamon fan club. But now it seems that the more I have it, the more I love it. 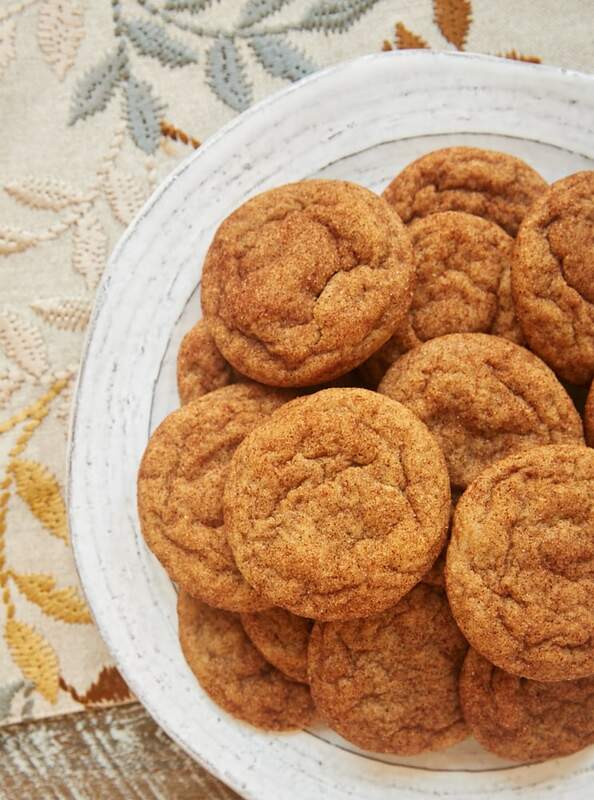 Traditional Snickerdoodles are always a crowd-pleaser. But you know I can’t resist tinkering with a classic. When I started to think how I could give them even more spice, I immediately thought of cookie butter and its wonderful spice flavor. For those of you not familiar with cookie butter, it’s a spread made from a sweet, spiced Belgian cookies called Speculaas. If you’ve ever had Biscoff cookies on a flight, then you are familiar with the flavor. In fact, Biscoff is one of the brands of cookie butter available. There are several other brands available as well. Just look for them with the other spreads like peanut butter and Nutella. 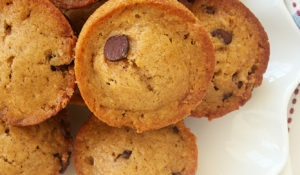 Adding cookie butter to these cookies adds even bigger spice flavor. 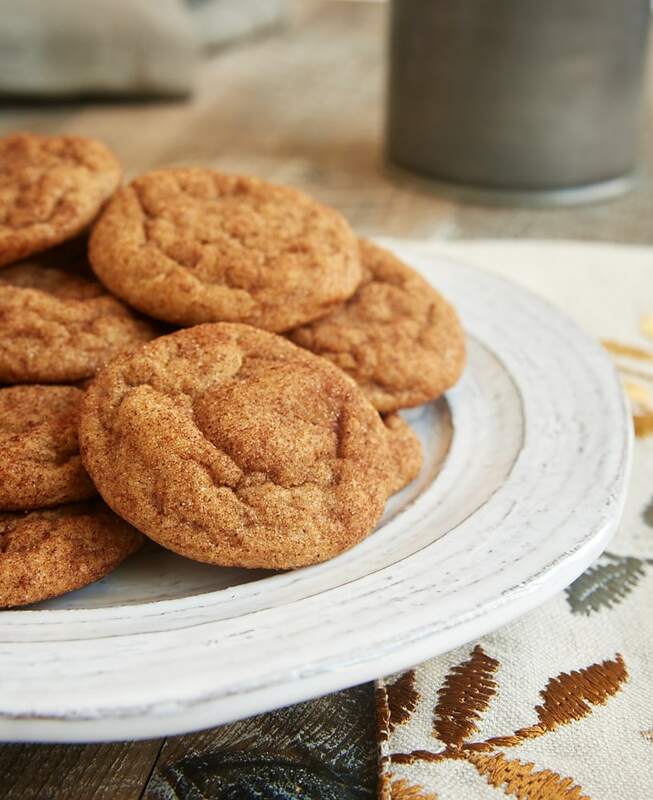 It’s a bit like two cookies in one – the sweet cinnamon Snickerdoodles plus spiced Speculaas. It’s such a perfect combination of flavors! 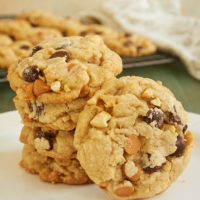 One of the best things about these cookies is their soft texture. There’s not even a crispy outside here. No, just super soft cookie all the way through. 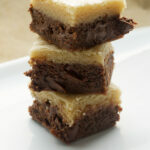 Be sure not to over-bake these to maintain that softness. 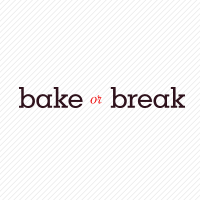 They bake fairly quickly, so just look for a light browning and a nice puff to the top of the cookie. That puffiness will subside some as they cool, but you’ll still be left with amazingly soft, sweet, cinnamon cookies. I shared these with my usual taste testers, and they went crazy for them. I’ve already been asked to make another batch! 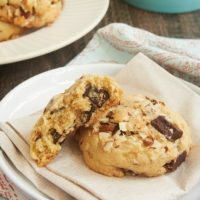 These cookies are definitely worth repeating, and I’m sure they’ll become a regular in my cookie baking rotation. 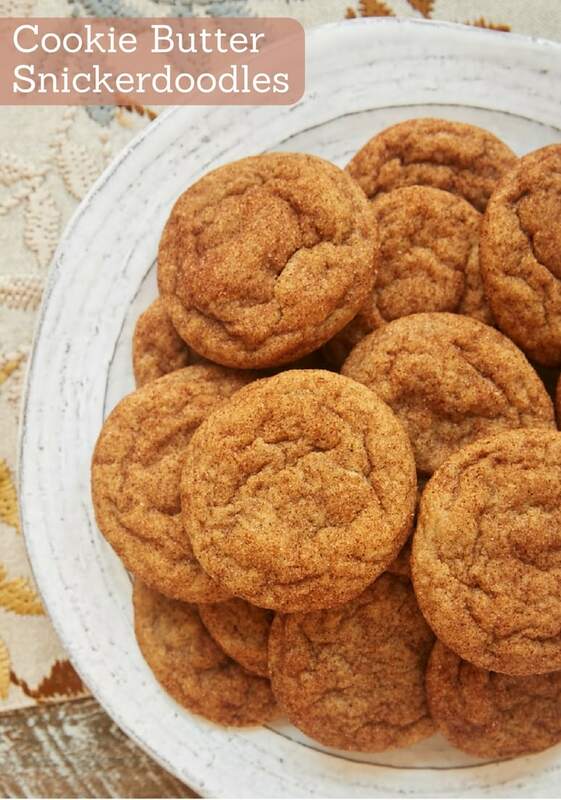 Sweet, spiced cookie butter adds such fantastic flavor to Cookie Butter Snickerdoodles. Whisk together the flour, baking soda, cream of tartar, cinnamon, and salt. Set aside. 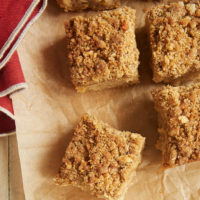 Using an electric mixer on medium speed, beat the butter, brown sugar, sugar, and cookie butter until thoroughly combined. Add the eggs, one at a time, mixing well after each addition. Mix in the vanilla. Using a tablespoon of dough at a time, roll the dough into balls. *** Then roll each ball in the cinnamon-sugar to coat. Place 2 inches apart on the prepared pans. Bake 8 to 10 minutes or until lightly browned. Cool on the pans for 5 minutes. Then transfer the cookies to wire racks to cool completely. 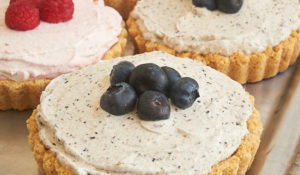 *Cookie butter can usually be found with other spreads like peanut butter. There are several brands available, including Biscoff, Roland, and Trader Joe’s. 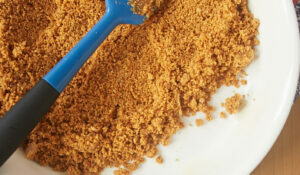 **You can use a store-bought cinnamon-sugar, but it’s very simple to make your own. Combine 1/4 cup granulated sugar and 1 tablespoon of ground cinnamon. ***I use a 1-tablespoon cookie scoop to portion the dough and then roll the dough between my palms to create a ball shape. I had never even heard of cookie butter before. Thank you for the introduction. Have you ever incorporated it into a pie crust? 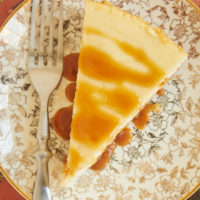 Seems like it would be good substitute for graham crackers in key lime pie. Hi, Jason. I’ve used the cookies that make the cookie butter in a crust, but not the cookie butter itself. I think it would work if you incorporate it like the peanut butter in the crust in this Chocolate-Peanut Butter Cup Icebox Pie. 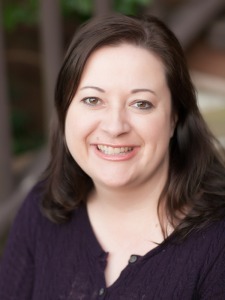 Hi, Marcia. The cinnamon-sugar is for rolling the cookie dough before baking. See step 5. 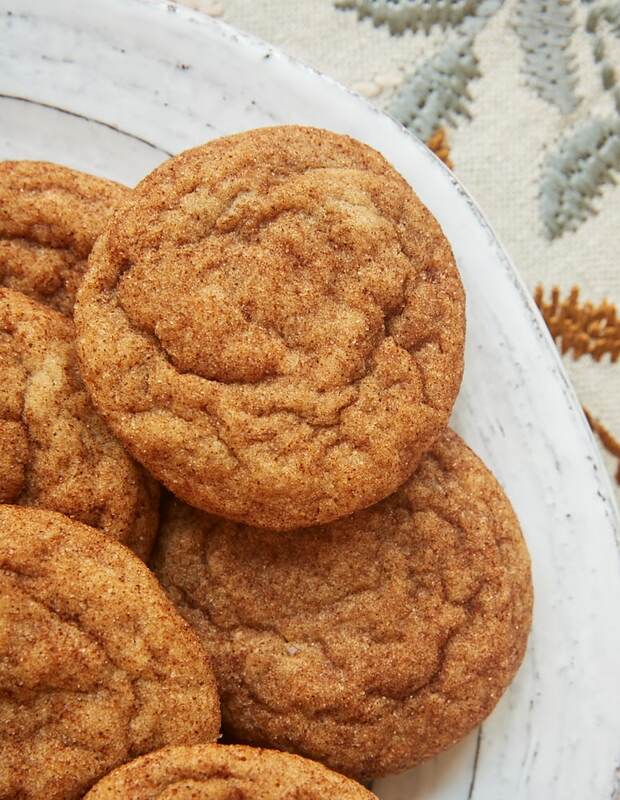 This is my favorite snickerdoodle recipe now. Thank you very much. I’m so glad you like them, Tonya! 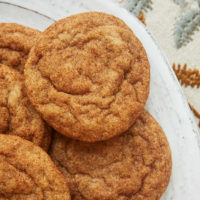 This is the best snickerdoodle recipe and use of cookie butter! I follow the recipe exactly and when cool mix together white almond bark with a little cookie butter and drizzle on top of the cookies and then sprinkle a little bit of cinnamon sugar on top. Thanks for a great recipe! I’m so glad you like them, Diane! And I love your topping addition!